James Zachos, professor and chair of Earth and planetary sciences, has spent his career studying episodes of climate change in Earth's distant past and their relevance to current global warming. His appointment this year to UCSC's Ida Benson Lynn Endowed Chair in Ocean Health recognizes Zachos's important contributions in this area and provides support for his research and related activities. Zachos said he plans to use the funds from the endowed chair to support ongoing investigations of a period of rapid global warming around 56 million years ago called the Paleocene Eocene Thermal Maximum (PETM). Previous research led by Zachos showed that a massive release of greenhouse gases, possibly triggered by volcanism, caused average global temperatures to increase by at least 5 degrees Celsius during the PETM, which lasted about 150,000 years. He and other researchers subsequently showed that carbon emissions from the burning of fossil fuels and other human activities are occurring at a rate ten times faster than carbon emissions during the PETM. "For over two decades we've been working on this case study of extreme global warming," he said. "One of the things we're focusing on now is to understand how precipitation patterns changed globally and regionally, such as along the mid-Atlantic margin, from Virginia to New York." By studying sediment cores from the seafloor along the Atlantic coast, Zachos and his collaborators have found evidence of increased erosion and sediment transport into the coastal ocean during the PETM warming event. They also see evidence of coastal acidification and malformation of calcifying plankton (calcium carbonate shells are harder to build as the ocean becomes more acidic due to absorbed carbon dioxide). "We're trying to quantify the changes in coastal salinity and nutrients, because increased runoff delivers more nutrients to the coast, which can drive algal blooms and eutrophication," Zachos said. "We also want to see if the effects of ocean acidification are amplified in coastal settings. The same concerns exist for coastal California because of potential changes in climate and the dynamics of coastal upwelling." With the funding from the endowed chair, Zachos will be working with Earth system and climate modelers to compare his observational data with the output of state-of-the-art global climate models. "This funding will allow us to pursue several new ideas," he said. The Ida Benson Lynn Endowed Chair in Ocean Health was established in 1998 and is intended for an outstanding scholar with research interests in the area of ocean health. Zachos's five-year appointment to the chair includes funding to support teaching, research, outreach, and graduate fellowships. 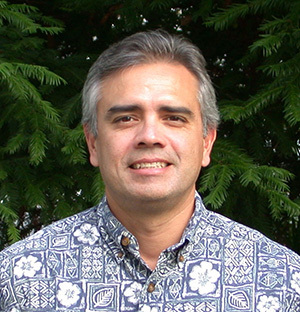 He is the fifth faculty member to hold the chair, succeeding Raphael Kudela, professor of ocean sciences.